Morning Note - 1/22/19 | Morning Note | Capital Institutional Services, Inc.
IPOs on deck: The first IPO of the year is up this week, New Forest Energy (NFE) will be priced. Secondaries on deck: none priced this morning. IPO Filings After The Close: GWPH mixed shelf offering; SSW common stock offering. Fitch affirmed the rating of France as AA. Chubb (CB) sees Q4 net catastrophe losses of $585 million on a pre-tax and $505 million post tax basis. More Russian sanctions would be disruptive to financial markets reports a leading credit agency. AbbVie (ABBV) reports Phase 3 RESOLVE trial of ibrutinibin metastatic pancreatic cancer did not meet primary endpoints. Textron’s (TXT) Bell Helicopter awarded $440 million Navy contract. Stocks are continuing to remain positive this week on an hour by hour basis. There were no hours that had a negative week. Impressive action. Courtesy of Quantitative Partners, Inc.
U.S. futures: S&P -16, Dow Jones -145, NDX -48 and Russell 2000 -8.50 with fair values LOWER HELPING LOSSES. Asia and Europe lower. Gold, silver and copper lower. WTI Crude and Brent Oil Futures lower. Natural Gas is lower. $ is higher vs Euro, lower vs. Pound and lower vs. Yen. US 10 year Treasury price 121.33 with yields higher since Friday morning with the yield at 2.77%. Prices as of 8:25 a.m. EDT. Top Sectors Friday: Industrials, Technology. Financials and Materials. One Month Winners: Conglomerates, Materials, Financials and Services. Six Month Winners: Utilities and Healthcare. Twelve Month Winners: Conglomerates, Healthcare and Utilities. Year to Date: All higher. Today After The Close: IBM COF AMTD WYNN ZION WTFC NAVI. Wednesday Before The Open: PG CMCSA ABT UTX ASML KMB PGR APH NTRS WAT ROL TDY BPOP BKU CBU. Top Story: World Economic Forum starts today with plenty of news stories and interviews from there. Five Things You Need To Know To Start Your Day (Bloomberg) – Day 32, Brexit, Existing Home Sales, Earnings and markets fall. MediWound (MDWD) met end points in Phase Three study. Yesterday saw 2168 stocks rise and 758 fall on the NYSE. NASDAQ saw 2144 rise and 948 fall. The SP 500 is firmly back above its 50 day simple moving average but remains below its 200 day simple moving average. The Russell 2000 is also firmly above its 50 day simple moving average but below its 200 day simple moving average. All three indexes are now above their 5, 10 and 20 day moving averages. The QPI10 Day Moving Average of Breadth (10DMA) moved to buy on January 7th at 2549.69. For a move to a buy from cash, the 10DMA needed to have two days in row above +200 which happened January 7th. The next move will be to cash or sell. Watch closely. YTD 88% of stocks are higher and 12% are lower. Updated 1/18/19 close with next update on 1/25/19 close. Courtesy of Phil Erlanger Research, Inc.
Last week was a very strong week. The move is being justified by the hourly action. Will it continue? The Erlanger Value Lines track the intraday range of resistance, pivot and support. Each day we show where we closed within the range. December Existing Home Sales are due out and are expected to fall to 5.25 million from 5.32 million. The government shutdown enters Day 32. The World Economic Forum begins in Davos, Switzerland and runs through the week. Sellside Conferences: None of note. Industry Conferences: None of note. Best Upgrade Call of the Day: CHU makes sense technically as had a double bottom. Worst Downgrade Call of the Day: FTNT as short selling is heavy and short do poorly on this name. Winners: MDWD +29% AABA +4% Losers: TI -9% UBS -5% DB -4%. 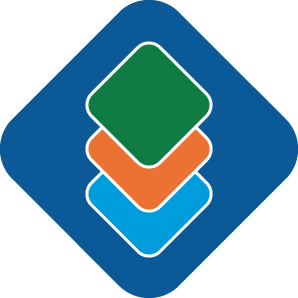 This communication is for informational purposes only and is solely intended for use by institutional investors. Use of this communication by others, including retail investors, is prohibited. No statement herein is to be construed as a recommendation to purchase or sell a security, or to provide investment advice. Certain products, including options and futures, may involve substantial risk and are not suitable for all investors. The information on this webpage is provided by an independent third party. 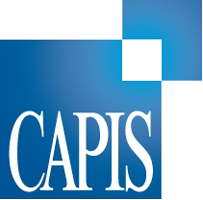 While the information and opinions presented in this material have been obtained or derived from sources believed by Capital Institutional Services, Inc. (CAPIS) to be reliable, CAPIS makes no representations concerning its accuracy or completeness, and accepts no liability for loss arising from the use of this material.